It is awesome to plan the outdoor parties but the sudden disappointment comes when you get no ice to keep your beverage mugs cool for a long time! You can’t go each time inside of your home to get some ice from refrigerators or fridges, this mostly happens when there is a great summer time and everyone want to consume a lot of cool beverage! Here some great pallet ideas are hacked from DIY projects that can help you say goodbye to such embarrassing situations during the party or outdoor fun time! 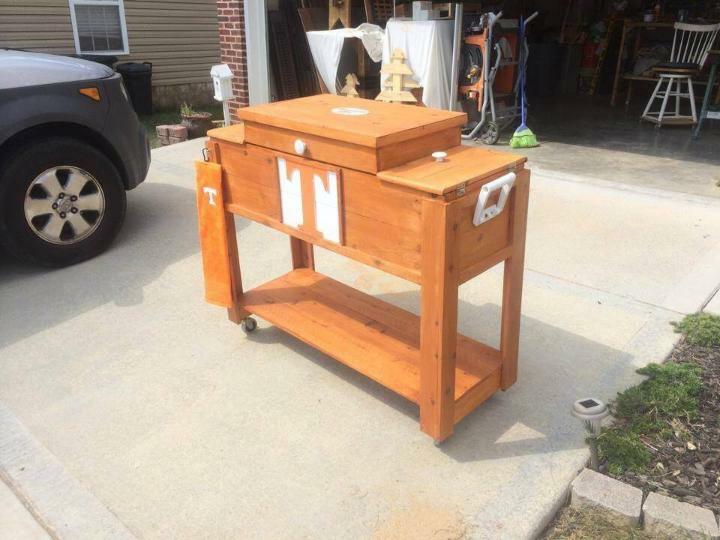 This DIY pallet outdoor cooler or ice chest is one that can rock in this case and wooden housing really gives the no way for heat transfer! Wood is a highly bad conductor of heat and electricity and this is all solution for outdoor party lovers and you can use the pallets as free source to lasting longer wood for amusing constructions of DIY pallet outdoor coolers which refers to a great relief in deadly hot summer’s days! Get this amazing wooden stand or holding for your plastic igloo coolers! Low conductivity of wood just avoid the heat transfer and hence helps the cooler to retain the coldness for a long long time! 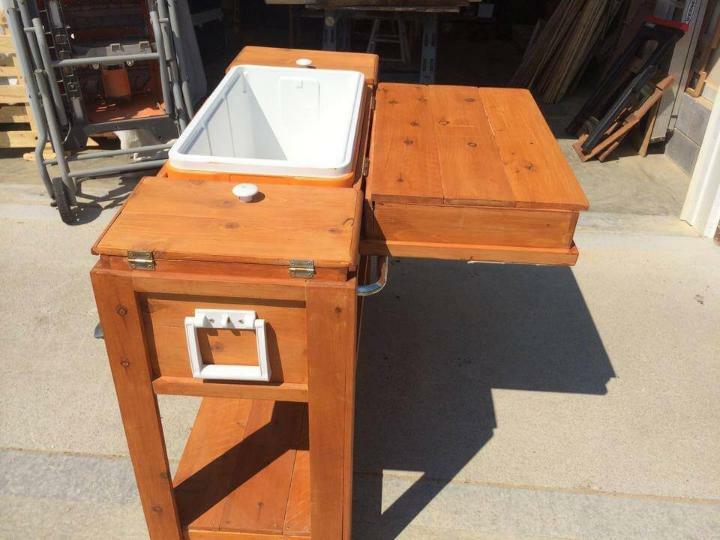 Design comes with a mid side cooler setup and with a mini storage box on either side! Two plastic handles have also been fixed at both sides of it to smooth drive the cooler to any direction! For a skated movement, the whole wooden stand has been raised on wheels!